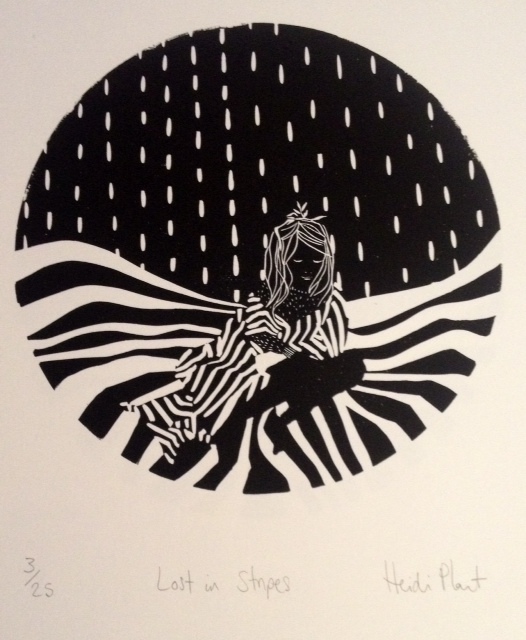 ‘Lost in Stripes’ by Heidi Plant. 46 x 33 cm, edition of 25. One colour linocut print on heavy weight paper. Printed, signed & numbered by the artist. It forms part of a series: ‘Have I been Here Before?’ 2013, & was created at Hello Print, located inside Resort Studios, Cliftonville, Margate where the artist is based. Congratulations Chloe! You’re the winning item on this item with £30. We’ll be in touch by email.